Hollywood's premier stuntman, Enos Edward Canutt started rodeoing in Washington state as a teenager — and took his nickname in 1914 when some boys from Yakima were showing off at Pendleton. Instead of "Canutt from Yakima," a photographer called him "Yakima Canutt" in a photo caption, and it stuck (Canutt 1980:44). The middle of five children, "Yak" was born Nov. 29, 1895, outside of Colfax, Wash., and earned his first movie credit in 1919. He would be involved in nearly 300 more films, primarily as a stuntman or second-unit director, but also as a raspy-voiced actor. No stranger to the Santa Clarita Valley, he played the villain opposite John Wayne in a Monogram-Lone Star series in the 1930s, shot in Placerita Canyon. He frequently doubled for Wayne, notably in John Ford's "Stagecoach," where Canutt was actually the one who lept from the horses and grasped the reins beneath the running stage — the sort of thing he'd done in more than a few pictures. Injured rather seriously in the early 1940s, he focused on second-unit directing, winning accolades for his choreography of the gripping chariot race in William Wyler's 1959 "Ben Hur" with Charleton Heston. His son, Joe Canutt, doubled for Heston in that film, and his other son, Edward "Tap" Canutt, a resident of Agua Dulce, also did some stunt work in the 1950s-70s. 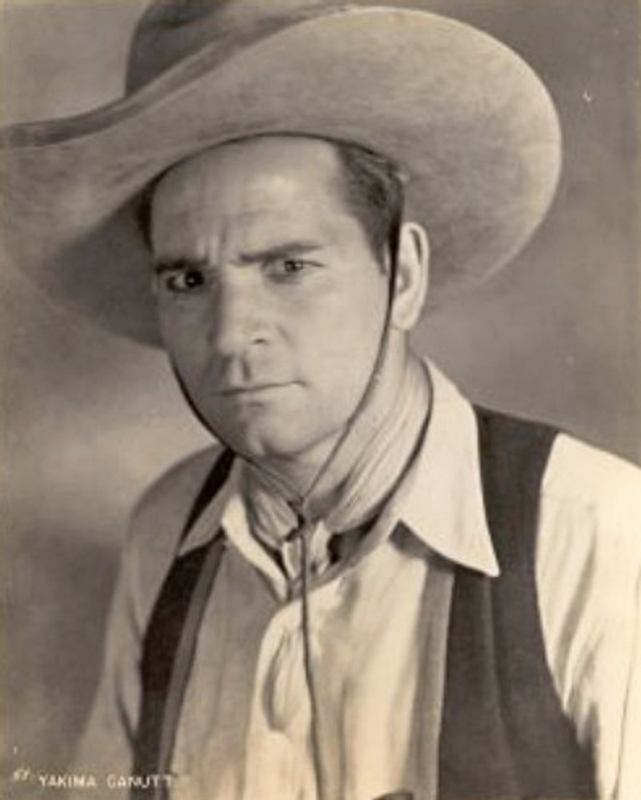 In 1966 Yakima Canutt received a special Oscar for his contributions to the art of stunt work. He died at age 89 on May 24, 1986, in North Hollywood. LW2114: 19200 dpi jpeg from smaller jpeg.